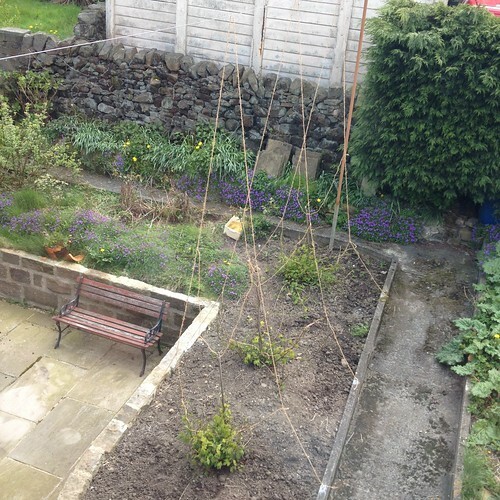 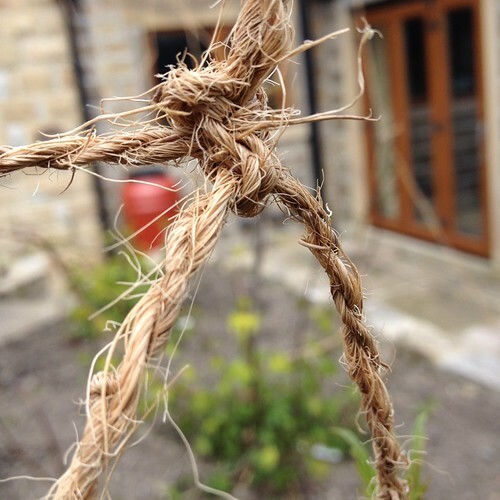 From memory I think from front to back its Challenger-Fuggle-WGV 🙂 Last year my pathetic piece of string I used between the house & the pole just snapped in the strong winds we had so down came the hops! 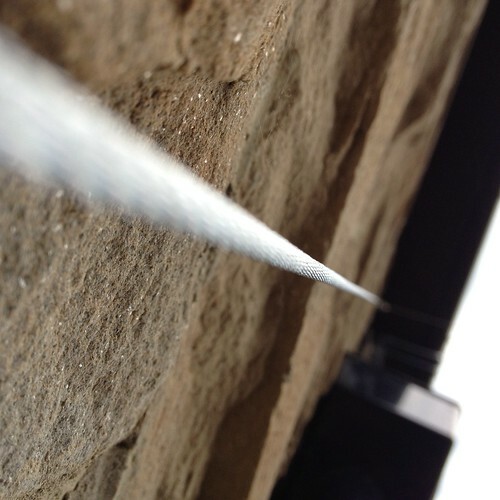 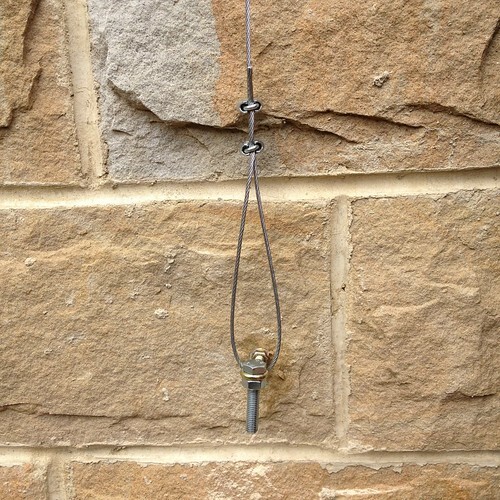 This year I’ve borrowed the neighbour’s ladders and fixed a strong Rawl Bolt Eye-bolt in the house wall and strung a securely clamped steel cable between pole & house. 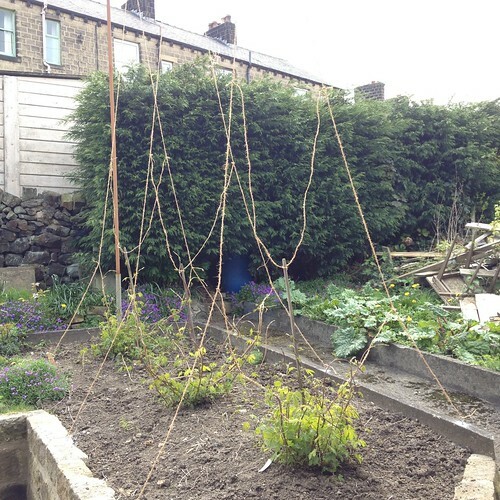 I may change tack another year and move these plants round the side of the house into very large planters and attach some more cables from house down to fence so when they hops grow they will form a nice looking covering over the yard at the side and also have a lot of support from strong winds. 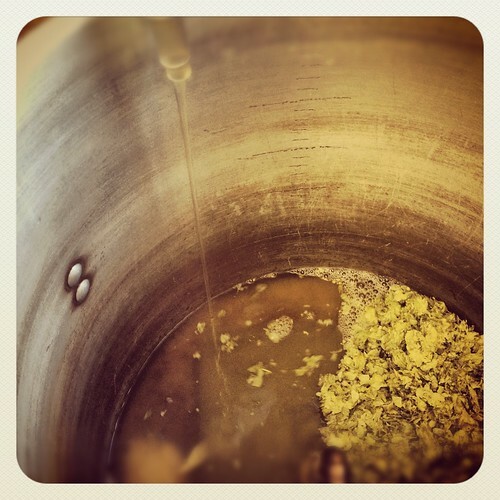 If I do this I shall probably but a Bramling Cross / Saaz or Hallertau / Cascade in the original spot. 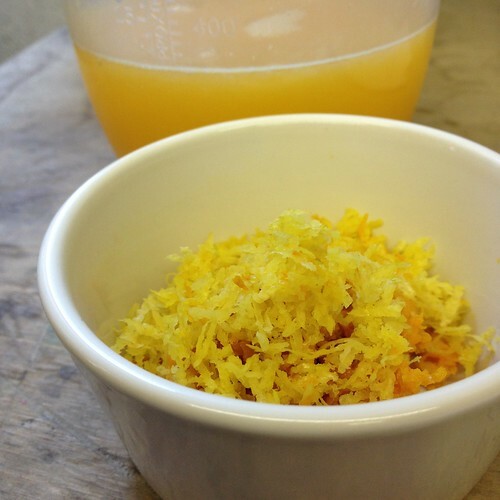 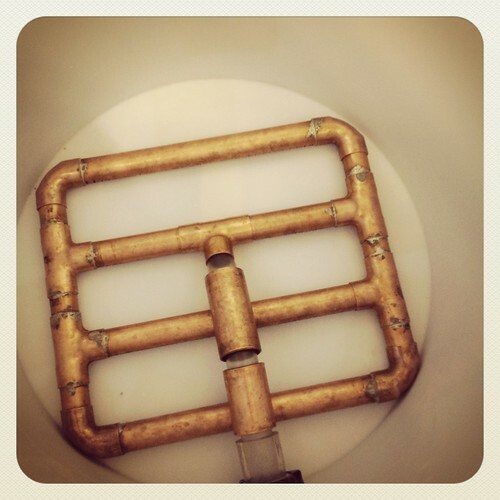 BeerRitz in Headingley, Leeds and are holding a Home brewing competition with Copper Dragon in Skipton, the idea is to re-mix their beers creating your own version with their ingredients… this one is mine. 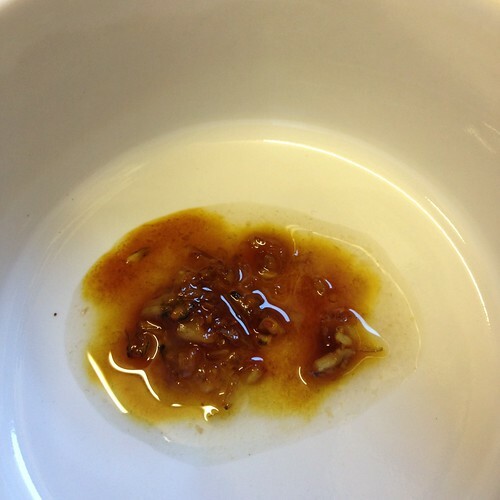 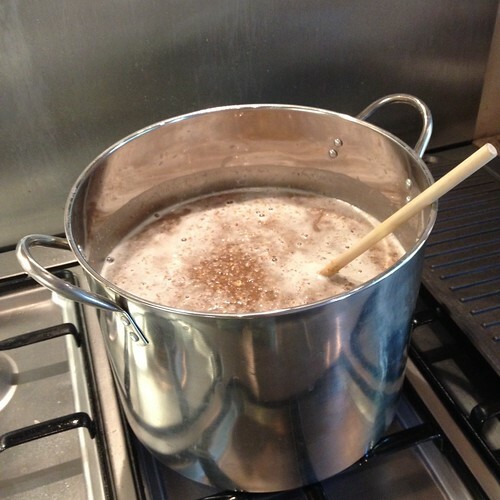 I’ll add the recipe after judging has been done so here is my pictorial brewday, and not forgetting today is National Homebrew Day. 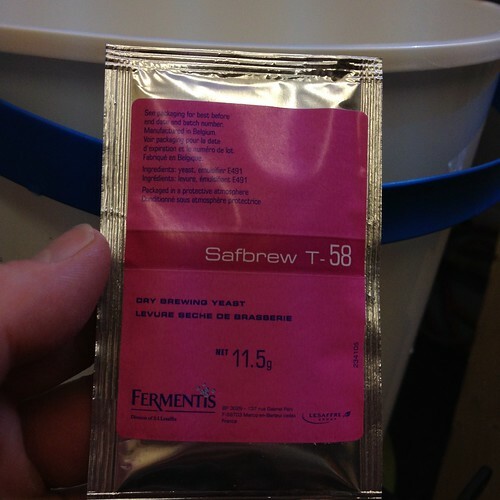 A pretty fast no fuss brewday, chilled to 20°c and pitched Safale us-05 yeast, fingers crossed I’ll get this fermented and dry hopped / Bottled in time for the closing date! 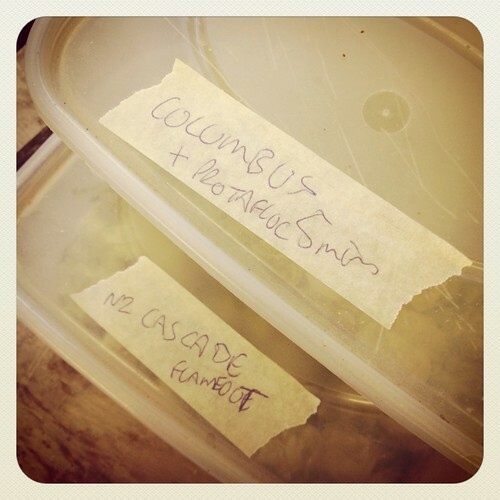 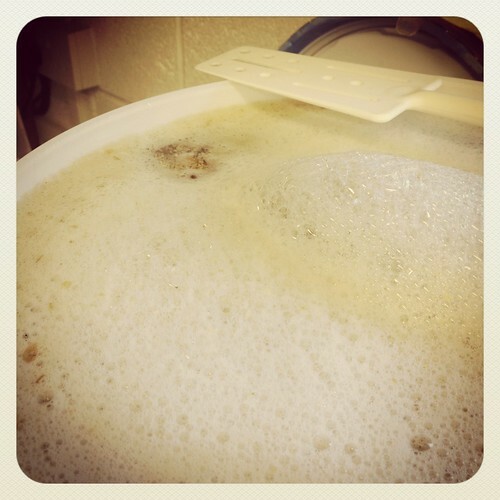 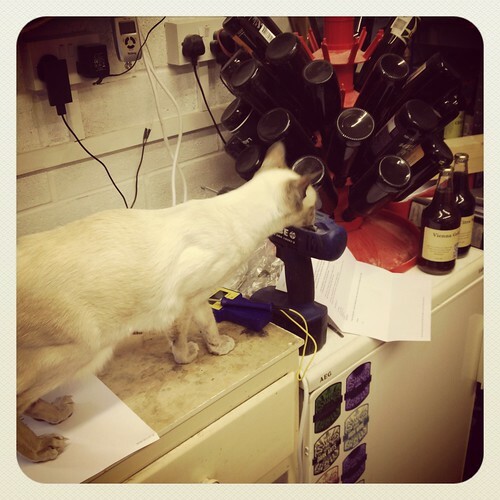 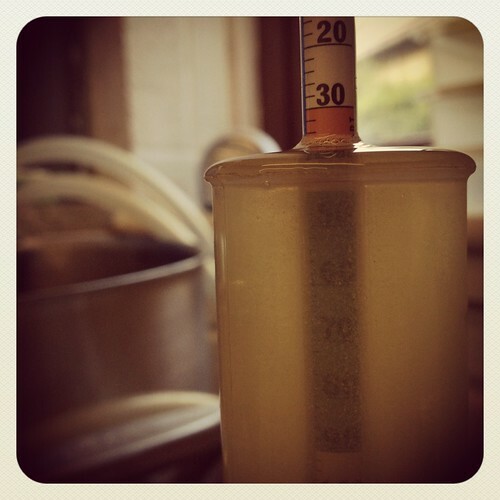 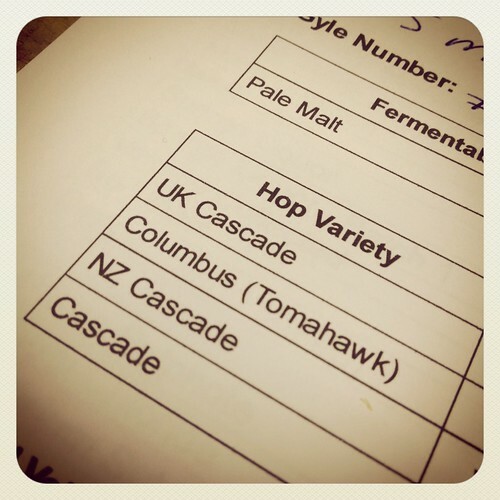 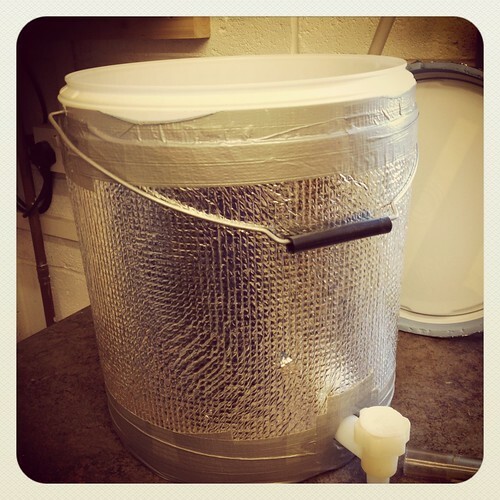 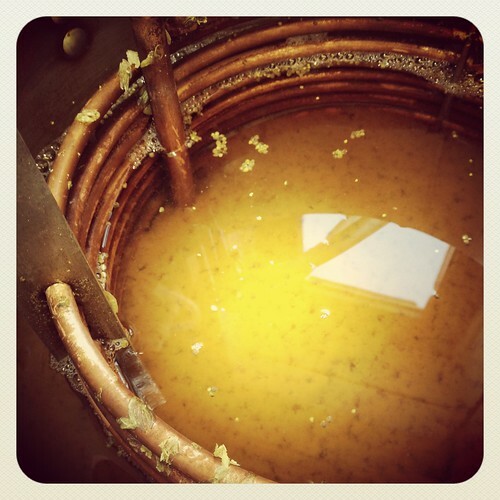 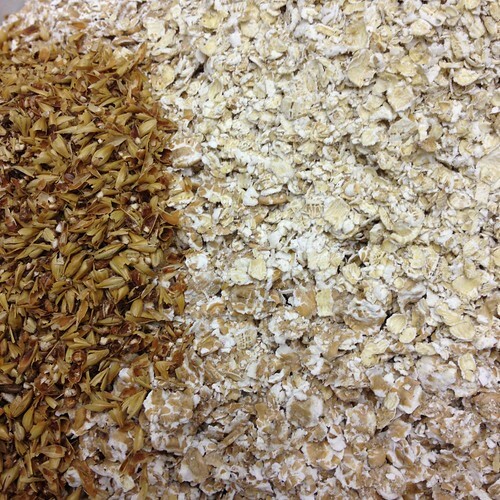 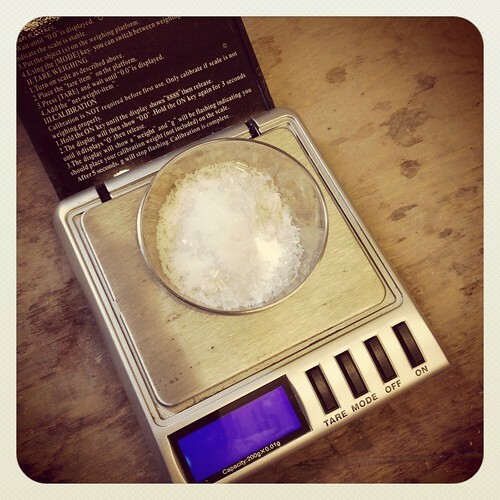 Again I used the iPhone and Instagram for taking the brewday photos, its really very easy! 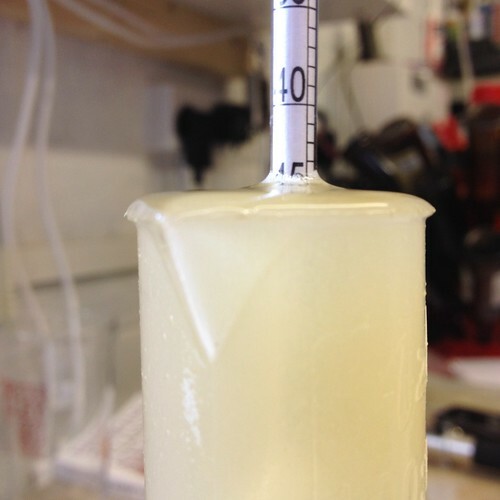 *8th May ’12 – Checked gravity 1013 @ 23°c dry hopped with 19g US Cascade Pellets, I’ll do a further 40g once the beer can be chilled down after reaching FG. 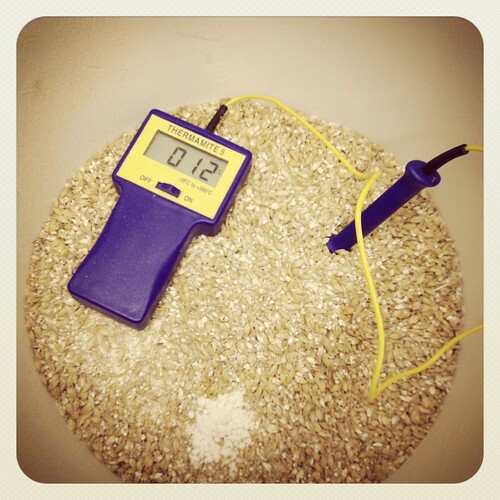 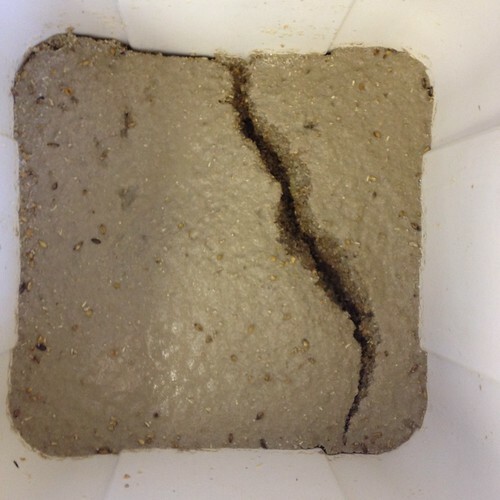 *9th May ’12 – Gravity 1010 @ 20°c Tastes lovely with the pellet dry hops already making a nice impact. 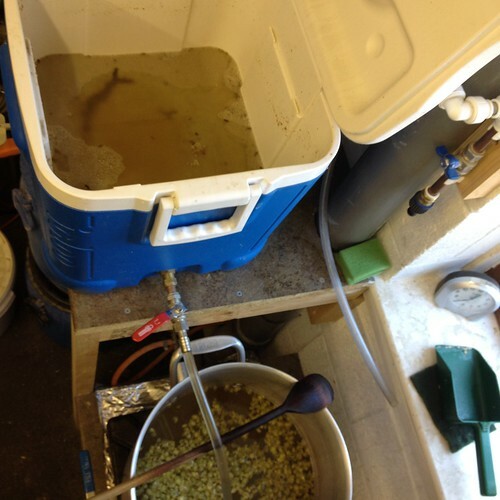 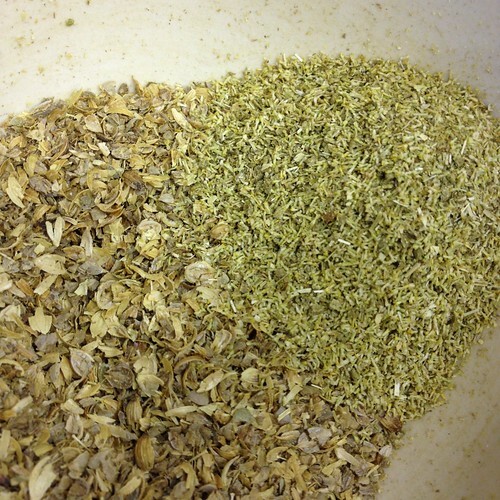 *12th May ’12 – Chilling to 17°c and dry hopped with over double what the first dry hop was. 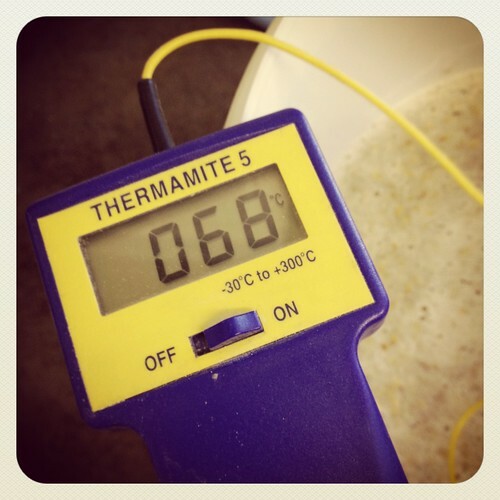 Will further chill to 13°-11°c then 4°c to drop the pellet hops out. 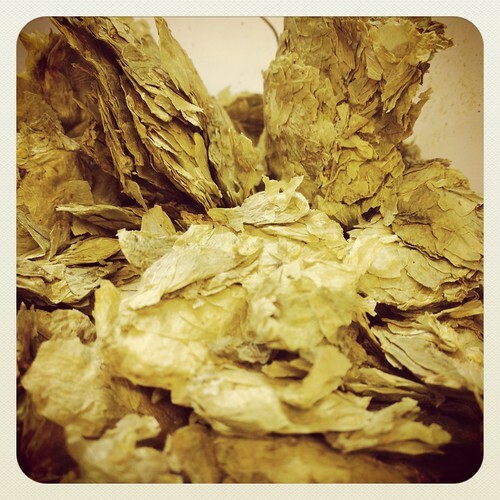 Leedsbrew & BroadfordBrewer’s take on the ReMix Competition, anyone else done a blog of their entry? 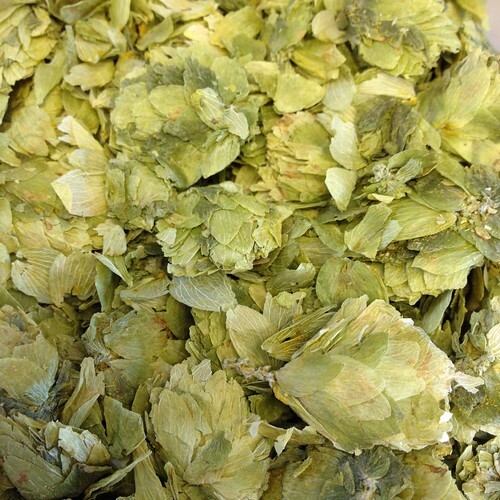 This is actually drinking pretty well, i could happily drink quite a few of these and not get bored 🙂 If I changed anything it would be to do a third or second heavier dry hop, and if it wasn’t to the competition rules I’d add a touch of wheat & 10% Carapils for body.